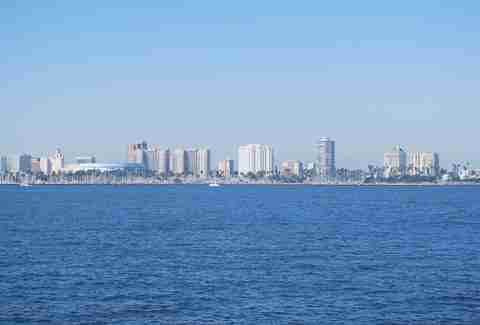 Yeah, it's just a quick 405 ride from Culver City, but, let's be honest, Long Beach may as well be another world. Case in point, these 21 things you totally don't understand about your neighbor to the South (unless you're from there). It’s not Orange County either. It’s somewhere totally different and, uh, way better. Recognize. You may not find another one. No, seriously, you're not going to find another one. Parking is impacted and street sweeping starts at 4am. Take it and walk. Sure there’s sand and sun, but the surf? Not so much, sorry. That breakwater about a mile offshore prevents waves from coming into the harbor, but... at least it keeps the rent cheap? The city is mostly flat and there are enough bike lanes to get you all over town and back, meaning you never have to lose that sweet, sweet, precious parking spot. 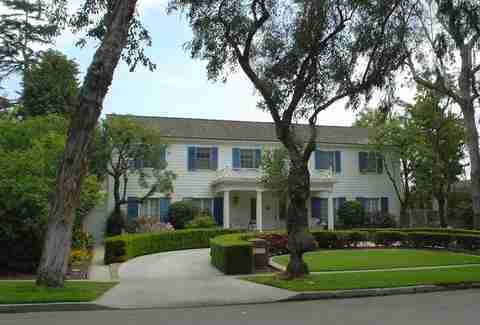 Also, the backdrop for your favorite TV shows, like CSI: Miami, Dexter, and True Blood. It’s a big, gaudy tourist trap full of empty storefronts that serve no purpose except to spectacularly take up space. It’s so bad, we even resent the Ferris wheel. Who resents Ferris wheels? That big metal boat floating out there in the water? It’s a tourist attraction, sure, but the hotel rooms are cheap, the restored 1920s Art Deco bar has killer city views, and ghost hunting is a free-for-all game. Staycation win. 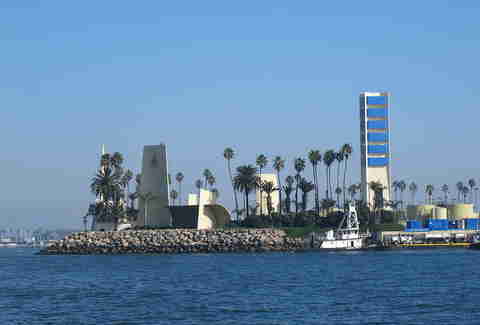 They’re oil rigs the city allowed to be built as long as the company made them look like exotic islands. So they hired the same firm that works with Disney to do it -- minus animatronics. And rollercoasters. That brisk ocean breeze spares us from the eternal hellfire plaguing the rest of Los Angeles County. Those skinny bearded guys hanging out at Portfolio coffee shop? Don’t worry, they’re just looking for the nearest hipster chick to talk up. 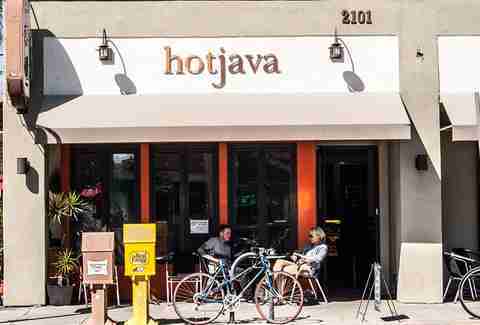 Those big hairy guys hanging out at Hot Java? They’re definitely not interested in women. AT ALL. It's not homophobic to call it "The Gay Ghetto"
Our quaint little stretch of gay bars on Broadway is the antithesis of WeHo’s club scene. "The Gayborhood" is also acceptable. Pronounce Junipero Ave as "jew-nip-ero", "jew-nigh-pero", or "who-nip-ero" and we’ll know you just got into town. It’s "ex-imeno", not "hee-meno", yo. Our only sports team is called "The Dirtbags"
No professional sports means we basically only root for the college team. Ever heard of Suburban Rhythm? Jenni Rivera? Mulatto? Ikey Owens? Feel free to start Googling now. 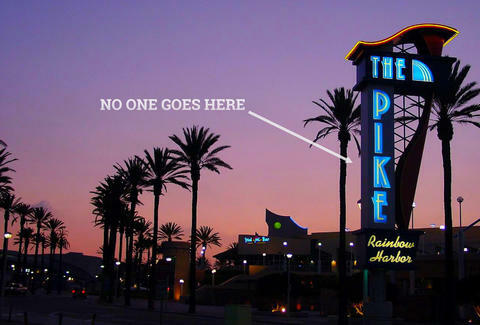 The only part of the city with less personality than the ‘burbs is The Pike at Rainbow Harbor. You can drive through its wide streets for miles and never realize you accidentally entered Lakewood. We hate when you call it "The LBC"
It shows you’ve only listened to the first two lines of "Gin and Juice" and think you got it figured out. We prefer either "LBC" or just plain-and-simple "LB". Only because there are more Cambodians here than anywhere else in the country. There’s even a Cambodia Town. 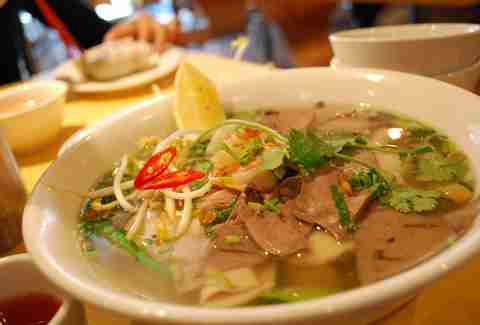 Try the Phnom Penh noodle -- it’s better than Vietnamese pho. So is West Long Beach. And neither are as scary as the newspapers would have you think. Don't be a wuss. Sarah Bennett lives in Long Beach and will totally fight you about any of the above on Twitter at @thesarahbennett.